There is tremendous power in being consistent. Professional athletes spend countless hours practicing their craft in order to improve their effectiveness and consistency. There are players that consistently make clutch plays. You can rely on them to deliver the results when it counts. Many of us won’t be called on to make a winning 3 point shot in the NBA Finals but we can certainly learn a lesson or two from athletes, which we can apply in our own lives. The idea is to strive to be consistent in whatever it is you put your mind to. 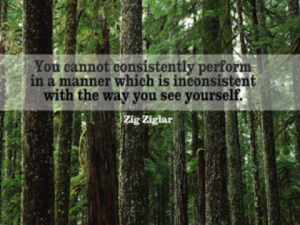 Whether it relates to your business, family or fitness goals…there is tremendous power in being consistent. 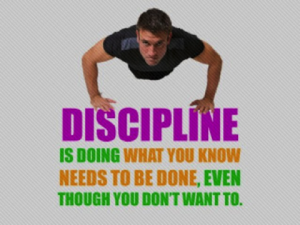 Consistently doing what is required to achieve your goals. Success is not about doing one HUGE thing right and BAM! you’re successful. It’s about doing the small things day in and day out, even when you don’t feel like doing it. Yes you’ll have days when you fall off the wagon but you need to pick yourself up and refocus the next day. The Compound Effect states that the routine choices we make, when compounded over long periods, form habits which exert outsized control over our lives. The compound effect is always working, whether you believe in it or not. Either working in your favor or against you. Small efforts you put in each day begin to compound and have a drastic effect on our health, wealth and mindset. A good example he gives is that of annual compound interest, but in your case think of your daily actions compounded weekly. The return on your initial investment is multiplied significantly based on your consistency. The momentum you gain will help propel you forward while also providing a surge of motivation. For many of us, it is easy to begin something. Most of us are super determined to make a change as we ring in the New Year each year. Three months later, if you’ve lasted this long, your determination has usually faded away. 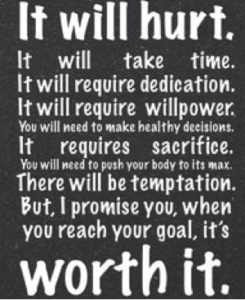 Whether it’s starting a workout regime or eliminating a bad habit. We all start with an extreme situation, like committing to going to the gym 5-6 times a week, when just a month before, our definition of a workout was running to get the mail 15 yards from our front door. The extremism may work at first but it is not easy to sustain for the long run. The key is to ease your way into the desired change. Develop a plan where you can ramp up to the desired result while still giving yourself flexibility if you encounter some drawbacks along the way. If your plan is too extreme, you risk losing motivation once you encounter situations that affect the sustainability of your plan. With flexibility in your game plan you can allow for some hiccups while immediately refocusing on your goals. The next time you propose a new goal for yourself, break it up into a smaller pieces that you can manage. For me, the thought of running a marathon (26.2 miles) is overwhelming and introduces a dose of anxiety and fear but when I chop it up into buckets of 5 miles, it becomes something more manageable to approach. My reasoning is that a 5 mile run is doable for me, the key is I would have to repeat what is doable for me, just a little over 5 times. This approach can be used to tackle huge goals or help you more effectively knock things off your to-do list. Whatever your goal is, try to break it up into manageable pieces which you can work on each day and most importantly, BEGIN TODAY!